Eberle-Devaux acknowledges that Heuer’s roots are deeply embedded in motor racing. “People think right away of the drivers of the 1960s and 1970s, but you could start much earlier in our history, for instance, in 1911 with the Time of Trip, one of the very first dashboard timers for cars and planes. It had a complication to display the time of your trip – very convenient for checking your fuel reserve. Another rarity with peerless motorsport provenance is the Heuer Monza. In 1975, the legendary Austrian driver Niki Lauda finished third on the famous Italian track, winning the Formula 1 title for Ferrari, then a partner of Heuer. 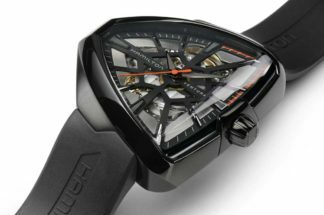 Shortly afterwards, the Heuer Monza was presented as a limited-edition series. Eberle-Devaux explains that the case design was inspired by the Carrera. “Niki won the championship in Monza in his second season with Ferrari. Ferrari had had little success in the preceding years and Niki was a true hero. Jack Heuer was close to the whole Ferrari team, especially Luca di Montezemolo, so once the watch had been approved, the production started. “Jack Heuer was a very innovative marketing man as opposed to a traditional watchmaker. The whole ethos of our brand owes so much to him and the original Monza is a perfect example of this. Also, part of Eberle-Devaux’s responsibilities is TAG Heuer’s much-admired series of re-issues, dating back to the revival of the Monaco in the late-1990s, followed by a regular flow of milestone models. 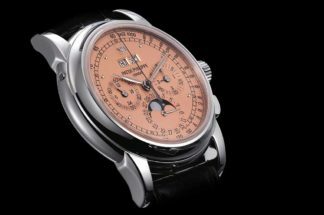 This year, the brand released a new Autavia and a limited-edition Skipper to great acclaim from the collecting community. “We now have a range of historically inspired watches: Monaco with Calibre 11, Carrera with Calibre 18, the Monza, which won the Revival prize at the Grand rix d’Horlogerie, and the Autavia. The four all feature the Heuer logo. “But the museum cannot be considered as a never-ending source of inspiration. The idea is to reimagine pieces but without nostalgia in our product development strategy – we don’t want to simply surf the retro trend. The 2017 version of the ‘Jochen Rindt’ Autavia, for example, is the result of an online vote involving the whole Heuer community. For Eberle-Devaux, re-editions and reinterpretations are fine, but what she finds more interesting is the opportunity to combine heritage with an avant-garde product like the Connected Watch, which is housed in a Heuer Carrera case. “To me this is natural and organic as the Carrera has always been ahead of its time,” she says. And to that end, while she is not about to spill the beans on new models, she does admit that, “2018 will be under the spell of the Carrera, to celebrate its 55th birthday”. In order to succeed as the head of Heritage, Eberle-Devaux has to have an affinity for vintage watches. “I am always very moved when I look and touch the very old pieces. There is one with a double face, a chronograph with a telemeter scale and a compass in the crown. The decoration of the case is perfect. The movement is untouched and works like a brand-new one – what is there more interesting, more beautiful, more useful? Just to know that this tick-tock was the same in 1900 when the timepiece first left the factory. The 1970s gave birth to an incredible range of daring designs for Heuer, defined by the Monaco, Autavia and Carrera. “We talked about the hexagon shape used in the Cortina, while the best example of a chunky 1970s Heuer design remains the Manhattan. But let me introduce you to a mal-aimé hexagonal model: the Memphis. 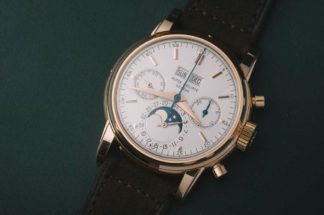 It experienced a short period of production because of poor sales, and only two versions – black dial or white dial – exist. It is very rare and only now is it starting to be appreciated. Eberle-Devaux acknowledges that vintage Heuer is an area that has been growing in popularity for some time. “The vintage models are cool, they have iconic names, they are colourful and distinctive,” she says. 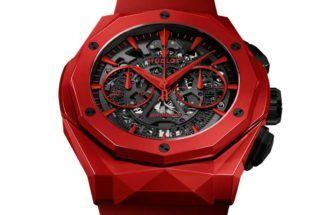 “Auction houses set the tone, they present more watches, identify more details and hence get better prices. They have understood the potential of Heuer and promoted it as a good alternative to other blockbuster watches.